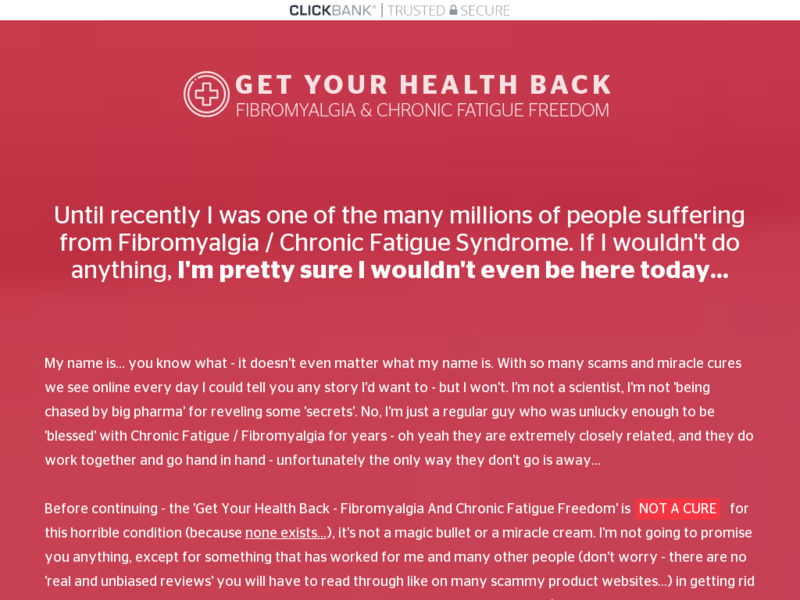 Brand New, The One And Only Fibromyalgia / Chronic Fatigue Syndrome Offer On Cb! Get 75% On Every Sale! Check Out The Amazing Sales-page And Get All The Tools At Getyourhealthback.onlin. Commission Up To 90% Available For Seriousaffiliates.